Washington, March 12 (IANS) The US will withdraw all remaining diplomatic personnel from its embassy in Caracas, citing the "deteriorating situation in Venezuela", Secretary of State Mike Pompeo has said. The announcement follows a decision made in January, in which the State Department ordered all non-emergency government employees to depart Venezuela amid an ongoing diplomatic crisis in the country, reports CNN. "Like the January 24 decision to withdraw all dependents and reduce embassy staff to a minimum, this decision reflects the deteriorating situation in Venezuela as well as the conclusion that the presence of US diplomatic staff at the embassy has become a constraint on US policy," Pompeo said in a statement late Monday night. The US personnel will be pulled out from Venezuela this week. Earlier in the day, Pompeo had taken aim at Venezuelan President Nicolas Maduro’s regime, saying: "Nicolas Maduro promised Venezuelans a better life in a socialist paradise. And he delivered on the socialism part, which has proved time and time again is a recipe for economic ruin. "The paradise part? Not so much." Venezuela is struggling with an ongoing power outage, that has paralysed most of the country. Rampant inflation and food scarcity have gripped Venezuela, with thousands fleeing to neighbouring countries as shortages, political turmoil and crime rates have soared, CNN reported. 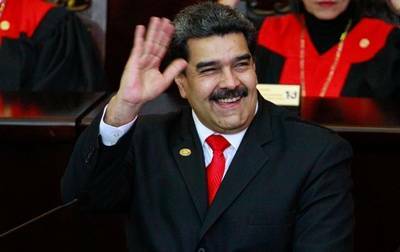 Speaking in a televised address on Monday, Maduro called the outage an "electric coup" carried out by "criminal minds". He blamed Washington for an attack on the power structure and said: "The imperialist government of the US ordered this attack." The condition in the Latin American nation deteriorated after leader of the opposition Juan Guaido declared himself the interim President on January 23. Guaido has been recognised by the US and many European Union nations.